Twin Angel Break is a cute magical series. I really enjoyed the feel of it and how it slightly reminded me of my all time favorite Sailor Moon. I try to watch anything that is a magical girl type in the hopes that it would be almost as good as it. From the first episode, I’m drawn into the story already since Meguru starts off saying she wants to be a hero and it just takes from there. Meguru is a peppy cute character who you immediately like. She’s not completely a ditz but she’s not an A student either. She makes friends easily it seems. She knows she wants to be a hero and knows she will have to work hard to be one, even if she doesn’t exactly know how to do it! Sumire is a very serious and surly character. She wants nothing really to do with the Twin Angel powers or working with Meguru. She seems to be a loner, not really talking to her class mates at all and stays to herself. 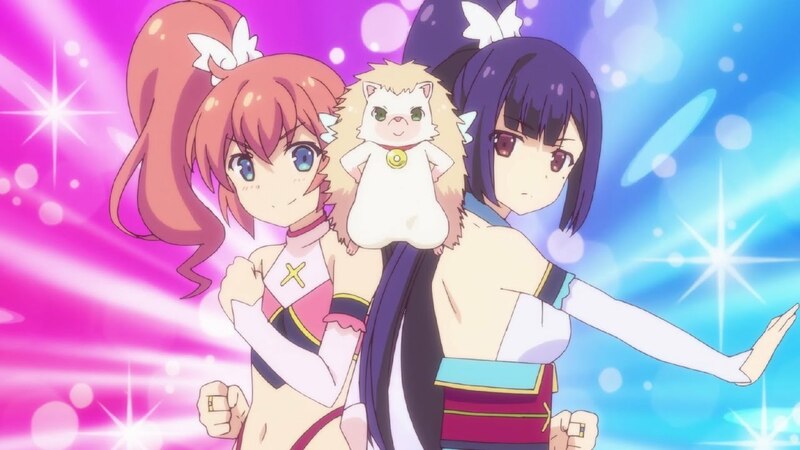 Their Twin Angel outfits are cute and the transformation scene was a very vibrant and exactly what you would expect from a magical girl transformation. I loved Miruku-chan, their little hedgehog advisor and how it gets mad being called a hedgehog. I can’t wait for the next episode to see how the two can work together and fight against evil that is the 4 heavenly kings. I am eager to see how they evolve as a team and hopefully are able to make it work.